Since Anime Studio Debut is the easiest version of the software to learn I decided to start there with the 15 video tutorials specifically related to that. Taking a close look at each title I gave each a number as part of the filename title, so they would appear, in their folder, in what I think is the correct viewing order and natural progression for learning the software. If you purchased the software with the same video tutorials as I did, here's the viewing order of the Debut video tutorials that I think works (You're welcome). Binge watching all but the final video should get you up and running with the basics in half a day. Most are fairly short and easy to power through. The final video is over an hour long and takes you through an entire project. It's a good one to watch as it serves as a review of everything you've learned thus far. Note that the first video talks about a 'beginners mode' which hides all the more advanced tools and features until you're comfortable with the basics. As near as I can tell this mode no longer exists in Moho Pro 12 (or perhaps is only present if you do actually purchase the debut version?). 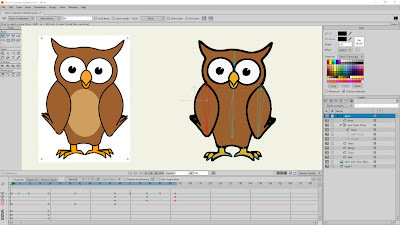 Once you've watched these 15 video tutorials you'll have enough information to know how to set up a project, navigate your document, use all the drawing tools, import pre-loaded and custom content, trace your own art into vector lines, rig bones, use the camera, add audio, use the timeline and export everything as a completed video file. Honestly I would've learnt this software years ago if someone had organised the video tutorials into a logical order like I have. To see how well I retained all the information I decided to see if I could import one of my own character designs, trace it, add bones and then animate it. 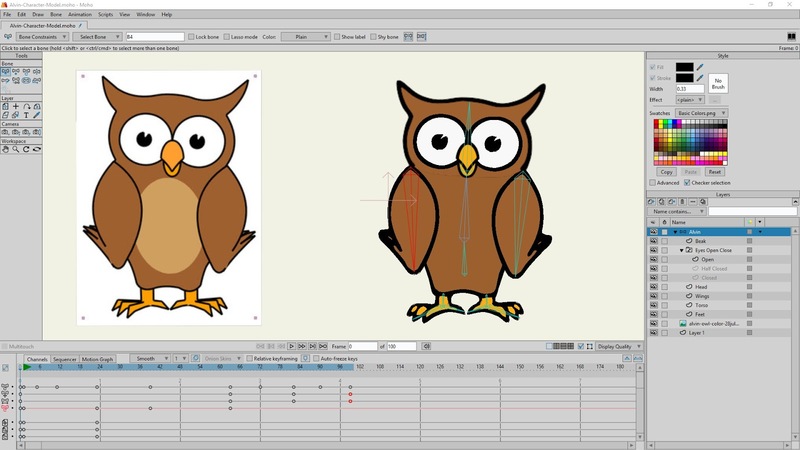 If you're a long time reader of this blog you may recognize Alvin the Owl, who I originally animated with Koolmoves and imported into GoAnimate. Alvin trace image on the left. Bone rigged character on the right. In tracing the image I wasn't too concerned with getting an exact match, since this exercise was simply to test what I had learned. The image above shows the artwork I imported into Moho on the left and the fully rigged finished character on the right. Below them you can see all the key frames in the timeline of my 100 frame animation. 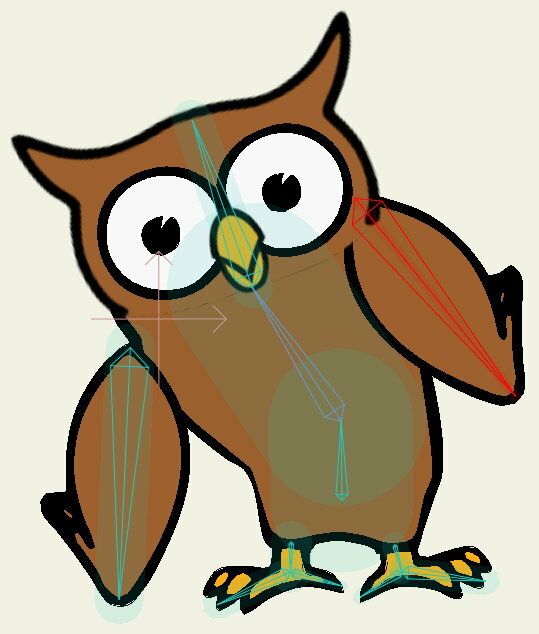 To the right of that is all the layers that make up the animation. All of this took me the best part of a day to draw and rig. See the finished animation below as a looping gif file. Although you can simply trace your art and start adding bones there's more to it than that if you want more realistic movement. You'll notice in the animation Alvin can raise his wings, revealing the sides of his torso. The wings themselves are on their own layer and are bound to their own bones. Alvin's feet are also both on the same layer and each are bound to three bones. One to move his rear claw, one to move all of his front claws and one to move his leg. You'll also notice, when he stretches his leg, his body stretches with it. Finally, notice that I added eye blinks through the implementation of a switch layer. A switch layer is a sequence of images where, at any given time, only one image is visible. You 'switch' the images to whatever one you want displayed. Overall, I think it's not too bad an effort for only two days learning the software. If you stopped here and didn't learn any more of the software you'd still know enough to make some pretty good animations. In part 3 we'll move on to the more advanced tutorials for Anime Studio Pro 11. Hi! This is great. I'm waiting for my Moho Pro 12 to arrive to my post office and preparing myself for the actual use. Thank you so much for going through the trouble and organizing these tutorials. And your quick learning curve is encouraging! By the way, Alwin speaks very well! Thanks. 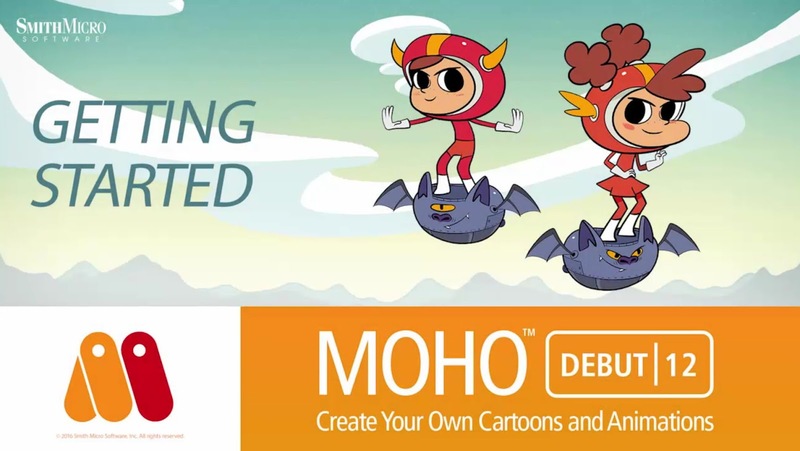 The complete list of tutorials can be found in the final post of this learning Moho series. It's a great reference and will save you buying the tutorial video package since all the videos are available online. Good luck with your learning.